RAPP Australia would like to give a warm welcome to our new distributors in the United Kingdom MedTree. MedTree is a UK owned company who is uniquely positioned with purchasing power and supplier relationships within the pre-hospital market to offer an unrivalled service to the EMS and public safety community. 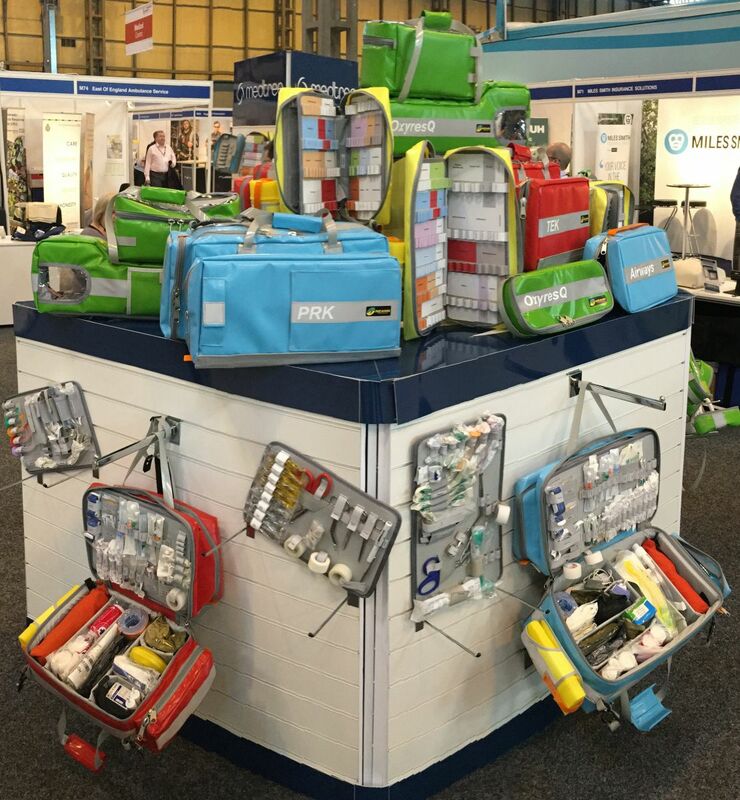 We are excited to share with you some of the photos of the new NEANN Professional 2 Series Kits taken at MedTree’s stand at the Emergency Services Show (http://www.emergencyuk.com/). magnetic lid panel inserts and sharps containers holders instead of the use of Velcro. If purchasing from the UK, these Pro 2 Kits are available from MedTree (Phone: +44 1952 565656) or for other countries they are available from our Australian company NEANN. For more information on NEANN products please call us on +613 5284 0222 or alternately emails us at sales@rappaustralia.com.au.